Do you have dirty carpets and upholstery that need bringing back to life? If so, get in touch. We're the area's expert carpet cleaners and have been delivering non-toxic cleaning services to homes and commercial enterprises across the area for well over a decade now. We are keenly aware of the necessity of handling your carpets, rugs and soft furnishings with the utmost care. That's why we incorporate environment-friendly products and techniques that won't cause any harm to anything, but will safely and effectively cleanse and fast-dry a wide range of carpets and soft furnishings. However small or large your needs, you can be confident that our team of trained experts will offer the appropriate solution to make your home beautiful once more. Honestly, once we've been in and worked our magic, you won't believe the difference. We're happy to visit you so we can talk through your individual needs, so contact us and let us explain how we can bring your carpets and furniture back to life. Call us today on 0116 316 9856 and ask us for a free, no obligation estimate. 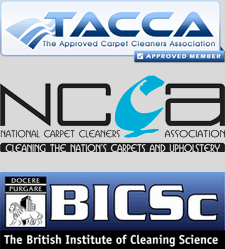 Local Carpet Cleaners - Accredited by TACCA, NCCA and BICSc, so you know we'll always do a top quality job. We offer domestic and commercial customers across Leicester an end-to-end selection of professional and local cleaning services. Whatever kind of furniture you may have, why not contact us to learn how we can rejuvinate and refresh its apperance. 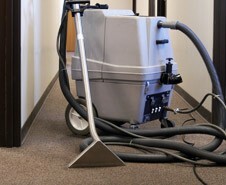 Call us to get a free estimate on any cleaning for your carpets or upholstery.